When he figured out how to disrupt the prison industry, Frederick Hutson (pictured above) was serving 51 months for running a marijuana distribution business out of a postage company in Florida. Hutson had served in the US Air Force and, once discharged, hustled his way through a run of moneymaking schemes before buying up a Parcelforce franchise and using it to send weed across the US. In the summer of 2003, however, officers from the Drugs Enforcement Agency raided the store and arrested Hutson on federal distribution charges. But Huston's entrepreneurial spirit was irrepressible. In prison, he churned out startup schemes, writing projected budgets and business plans in the library. There were, though, a few obstacles: the internet had revolutionised the business world, Facebook and Twitter both launched during his stint, but in prison Hutson couldn't even get online. The prison library magazine selection was patchy and out of date – Hutson would find crucial pages of Forbes magazine ripped out by a previous reader. Hutson had noticed early on how difficult it was to keep up with the outside world in general. Communicating with loved ones is costly, time-consuming and frustrating. Price-gouging is common – phone calls to prisoners are charged at long-distance rates – and it was a battle to get people to write letters, let alone to convince his girlfriend to send printed photos the old fashioned way. It could be difficult for Hutson's family to even locate him; in the US inmates are moved regularly for various reasons like security and overcrowding, and Hutson says he was moved eight times between correctional facilities during his sentence. Such isolation weakens prisoners' support networks on the outside and drives many convicts to reoffend once released. Hutson resolved that these were problems people would pay him to fix. He would act as middleman between the outside and the analogue world of prison, starting with a lo-fi business plan: printing out texts and photos that had been sent by friends and family to inmates. Released to a halfway house in 2012, Hutson hooked up with a business partner he knew from the Air Force days, and set about raising money to pay a freelance developer to build a basic website. "I quickly learned that, you know, me and some printer ink wasn't scaleable." 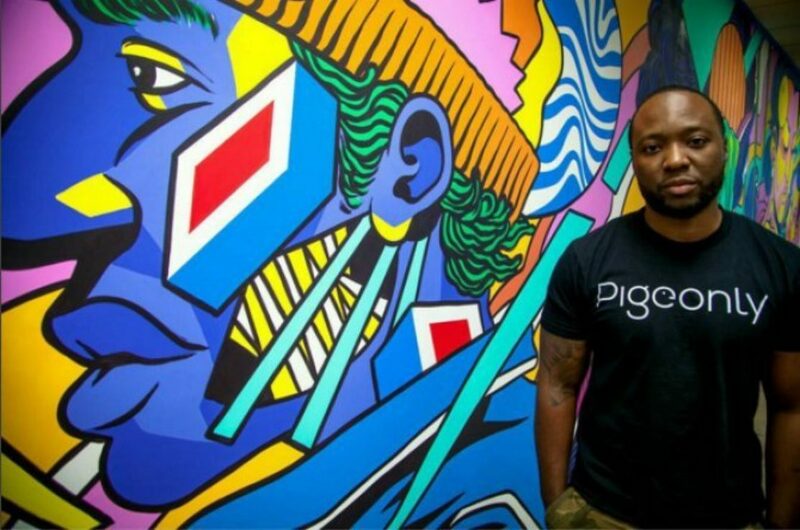 Although conditions of Hutson's work release programme made fundraising particularly challenging, he and his partner launched the first version of his startup, Pigeon.ly, that year – while Hutson was "essentially still incarcerated". Hutson identified a giant, underserved group of consumers. Almost one in every 100 Americans is in prison. If the prison population was a US city it would be its fourth largest, after New York, LA and Chicago. Pitched at the friends and relatives of this population, Pigeon.ly has built a series of workarounds for the most irritating and expensive aspects of communication. An inmate tracker that allows users to instantly locate someone within the US prisons system ("Mom goes to the site, enters her son's first and last name") and connect prisoners with those on the outside for a fraction of the cost. Undercutting price-gouging phone companies such as Global Tel*Link (of Serial podcast fame), which provide telecom systems in prison and are supported by technology that blocks cell tower signals, Pigeon.ly allows customers to place cheap VOIP-powered phone calls. Users can upload photos to Pigeon.ly and the company prints and sends them via the mail. Hutson says Pigeon.ly hosts 2-3m minutes of phone calls per month and delivers around 500,000 photos to US inmates. The platform has also launched a free app, PrisonWives, a social network for inmate spouses concerned with practical issues such as car sharing, and a new greetings card app. "They are ways for them to really keep their loved one integrated into their lives," he says. "Without this I'd have to go to the post office or I'd have to get this printed and it's just all this time and effort when I can just send this picture right from my phone." Hutson says he has customers in 26 countries communicating with US inmates. The business expanded to serve local and state, as well as federal, prisons, a total of 17,000 facilities. It's hard to get reliable data on changing facility numbers, says Hutson: "It's something of a moving target, but we think this is pretty much all of them." While working on Pigeonly, Hutson says he is continually discovering other problems experienced by the relatives of prisoners, which could sew the seeds of another business idea. "The demographic we're dealing with tends to be targeted or extorted the most when it comes to services: they pay more for everything. Being low-income comes at a very high cost. No one's really disrupted these old systems that are predatory." 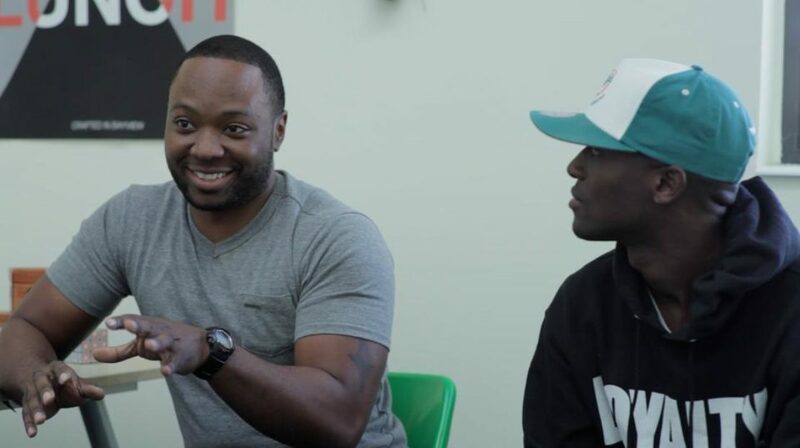 Despite being an ex-con, a status which makes Americans drastically less employable, Hutson was ultimately able to attract $1m in seed funding, something he puts down to the universal appeal behind his business. Whatever your politics, he argues, we can all agree that we'd like fewer convicts to reoffend. "Most people in prison today are not serving life sentences, which means they're going to be released at some point in the future, the question is, what type of person do you want to release?" Hutson was confronted by a "very different world" when he left prison. He wants to help current prisoners maintain contact with their social networks and with the world in general. "Our goal is to help people communicate and help stay in touch," says Hutson. "Thereby lessening their chances of returning to prison."